Awhile back, Audi revealed a 20th Anniversary model of the Audi TT to celebrate its, well, 20th anniversary. The big news surrounding the celebratory TT was the return of its “baseball leather” option. 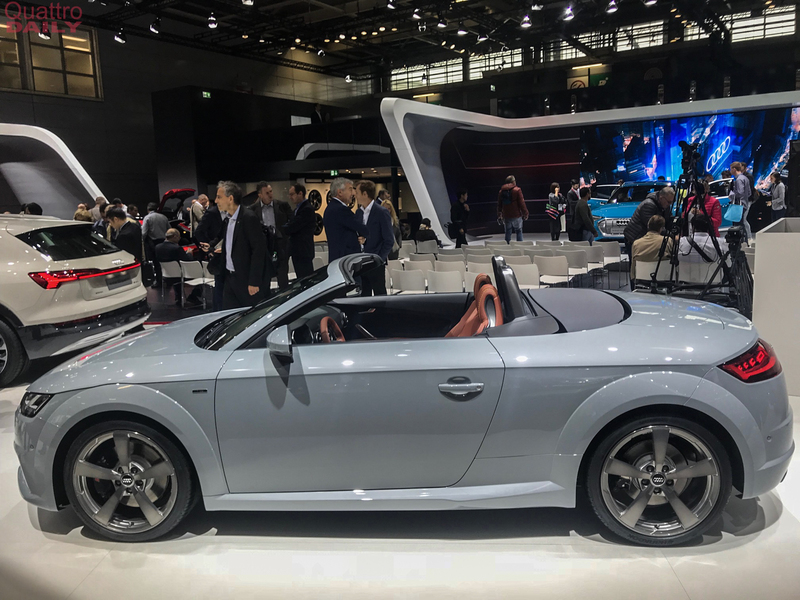 It also featured wheels and styling touches that harkened back to the original Audi TT from 1998. 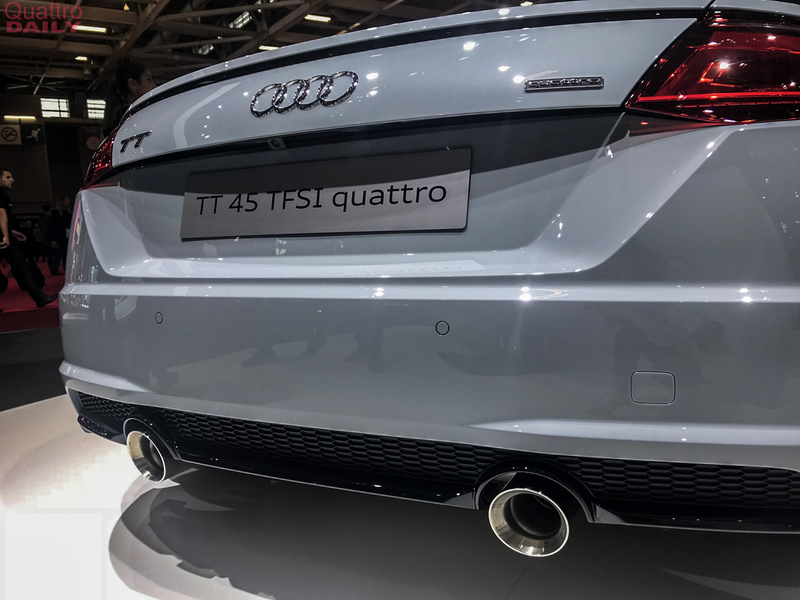 That very TT is here at the 2018 Paris Motor Show and we’re bringing you some live photos of it. Despite being a bit old now, the Audi TT is still such a handsome car. 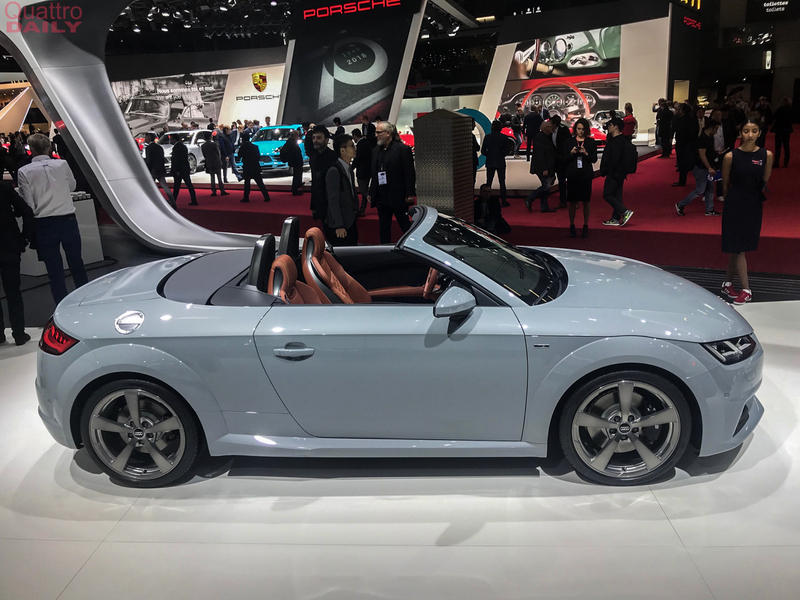 While it looks a bit better in Coupe variant, this Audi TT Roadster 20th Anniversary looks great. Rocking its Pfeilgrau paint, which translates to “Arrow Gray” from German, this TT is a throwback to its original, even though the first-gen TT never came in Pfeilgrau. 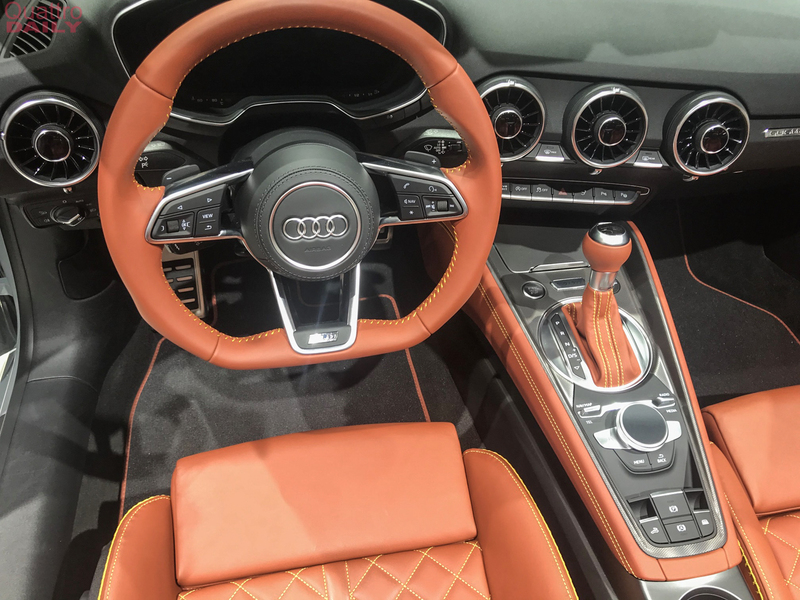 Where the 20th Anniversary Audi TT really shines is on the inside. Its Mocassin Brown “baseball” leather seats feature thick cow hide and fat contrast stitching, just like a baseball glove. 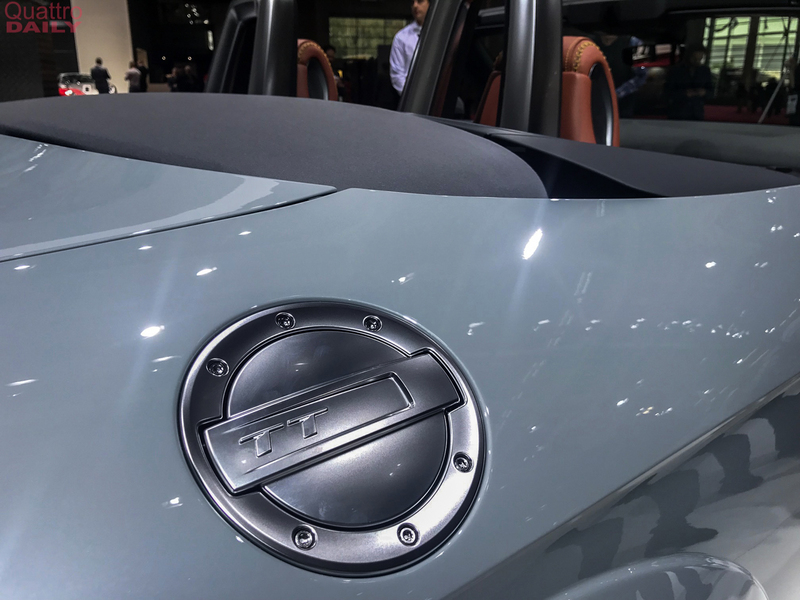 It was a leather option back on the original TT and it’s never been seen on any car, never mind another Audi, since. It’s a really awesome look. Although, the Mocassin Brown leather on this celebratory TT isn’t quite the same on the original. The car from 1998 featured stitching so fat you could see each individual stitch from a mile away. It was a really different and exciting looking option that this new leather, while similar, can’t replicate. This new one looks good, mind you, but it isn’t quite as cool as the O.G. 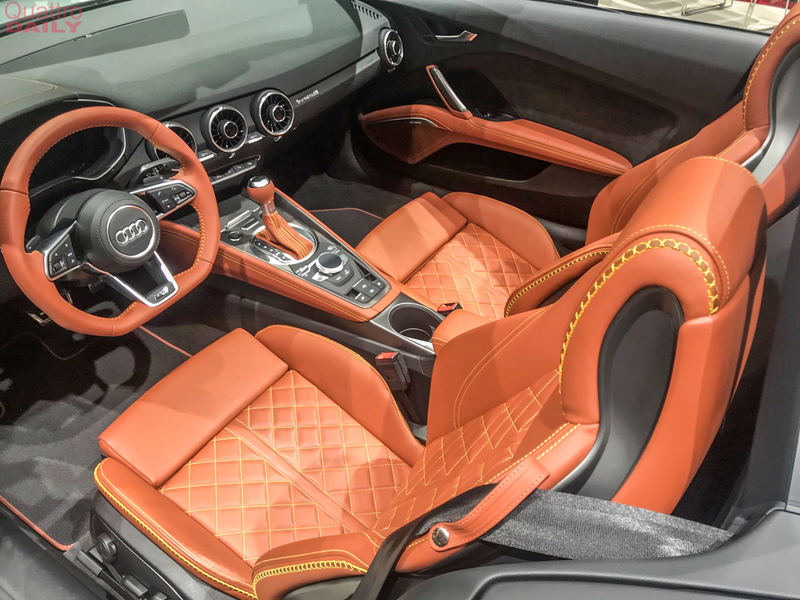 Aside from its color and new leather option, the Audi TT 20th Anniversary isn’t any different from the standard Audi TT Roadster, mechanically. 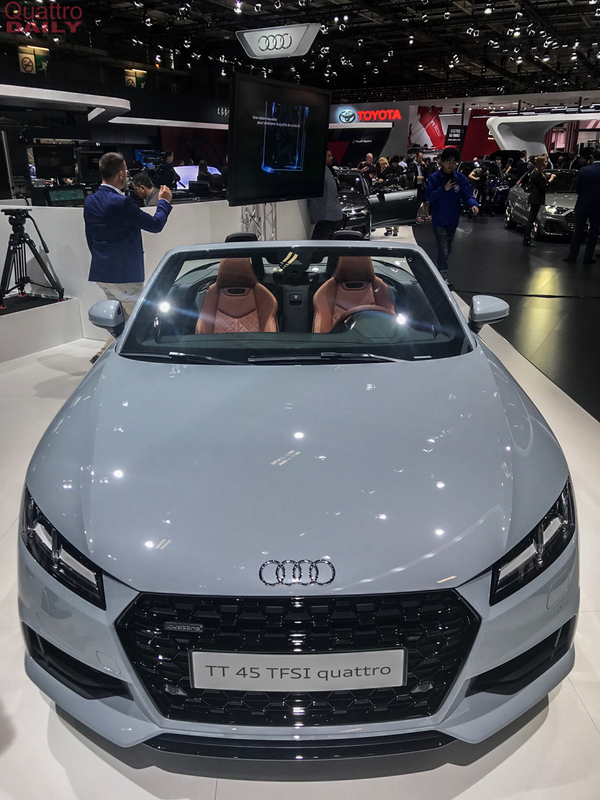 So it still gets a 2.0 liter turbocharged four-cylinder engine, a seven-speed dual-clutch gearbox and Quattro all-wheel drive. 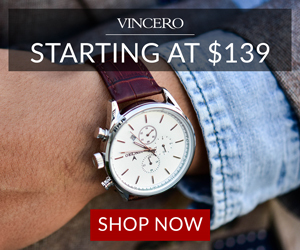 So if you buy one of these, you’re really just buying it for the leather.